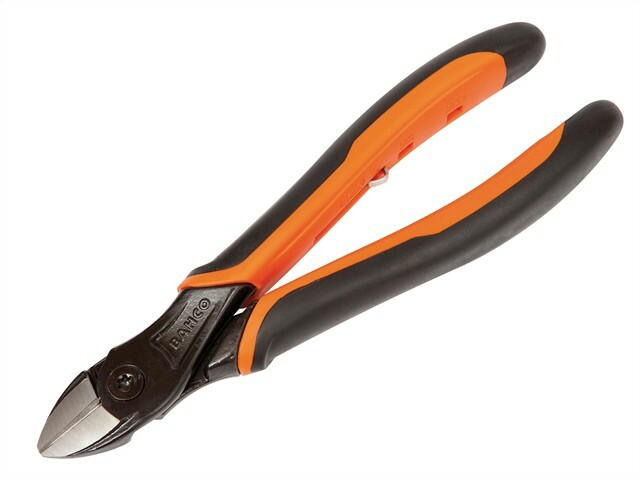 The Bahco ERGO™ Side Cutting Pliers are made from high-performance steel, with a black anti-corrosion finish and edges which are induction hardened at 62 HRC. They have 2-component combination handles - thermoplastic surface on tough polypropylene which gives a superior grip. Progressive edges allow the cutting radius along the edge in order to cut hard material like piano wire close to the joint and soft materials like copper and plastic insulated wire at the tip. The screw joint provides excellent running and accurate alignment of the cutting edges.